P. Brent Ferrell, M.D., joined the Irish lab in 2012 as a Fellow in Vanderbilt’s Tinsley R. Harrison Society physician-scientist training program and became Instructor of Medicine in 2015. Current: In 2017, Brent received NIH/NHLBI K23 HL138291, was promoted, and started his own lab as Assistant Professor of Medicine at Vanderbilt University Medical Center. Faculty profile & lab website. Degrees: B.A., Davidson College M.D., University of North Carolina, Chapel Hill. Brent’s project used single cell tools to characterize how acute myeloid leukemia (AML) and myelodysplastic syndrome (MDS) cells differ in phenotype, signaling, and treatment response from non-cancer stem cells and differentiated myeloid cells. 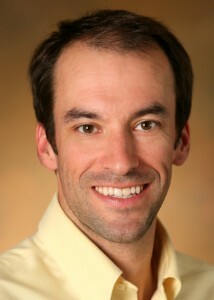 Funding acknowledgements: Brent’s Fellowship was supported by the Tinsley R. Harrison Society, Team Chad and the Hematology Helping Hands Fund, The Vanderbilt-Incyte Research Alliance, and the NIH Paul Calabresi K12 CA090625 training grant via the Vanderbilt Clinical Oncology Research Career Development Program (VCORCDP). Brent’s 2018 co-first authored publication in Nature Communications uses mass cytometry to identify novel compounds that specifically target leukemia cells by screening natural products including molecules produced by soil microorganisms. Earl DC*, Ferrell PB*, Leelatian N, Froese J, Reisman B, Irish JM**, Bachmann BO**. Discovery of human cell selective effector molecules using single cell multiplexed activity metabolomics. Nature Communications 2018 Jan 2;9(1):39. PMID: 29295987. Pubmed. DOI. *equal contribution. **co-corresponding authors. ► This peer-reviewed research developed out of a collaborative Vanderbilt University Discovery pilot grant that brought together the Irish lab’s expertise in acute myeloid leukemia (AML) and single cell tools and the Bachmann lab’s expertise in identifying novel metabolite effectors. This work created a novel single cell metabolomics platform that uses primary human tissue biopsies and applied it in AML to identify and characterize a novel natural product that selectively targets leukemia cells and spares non-malignant monocytes and lymphocytes from the bone marrow microenvironment. 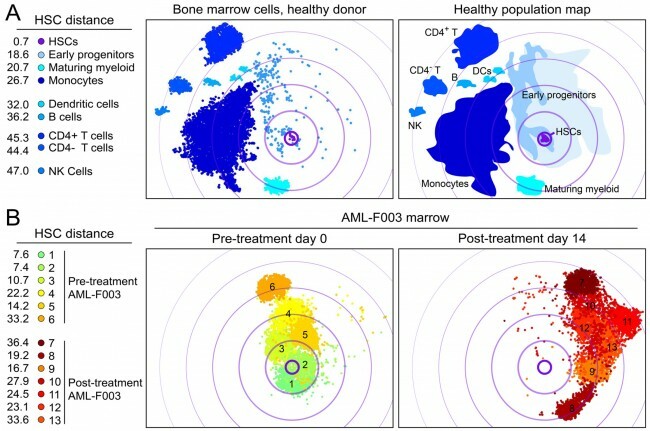 High-Dimensional Analysis of Acute Myeloid Leukemia Reveals Phenotypic Changes in Persistent Cells during Induction Therapy. Ferrell PB Jr, Diggins KE, Polikowsky HG, Mohan SR, Seegmiller AC, Irish JM. PLoS One. 2016. 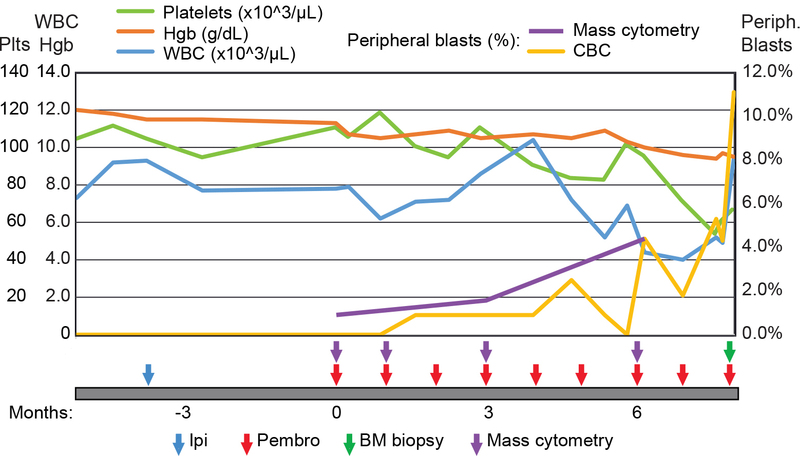 Brent was also co-corresponding author on Allie’s publication describing how mass cytometry systems immune monitoring revealed an unexpected case of myelodysplastic syndrome, published in Cancer Immunology Research. Myelodysplastic Syndrome Revealed by Systems Immunology in a Melanoma Patient Undergoing Anti-PD-1 Therapy. Greenplate AR, Johnson DB, Roussel M, Savona MR, Sosman JA, Puzanov I, Ferrell PB, Irish JM. Cancer Immunology Research 2016.